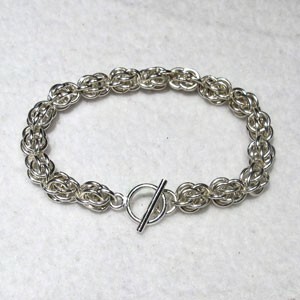 Learn this attractive and very popular chain maille weave. Choose from a variety of jump ring colors. Once you make your first bracelet, you’ll want to make them in every color combination! You will take home a very interesting bracelet, along with detailed, printed instructions. Tools will be available for purchase or borrowing in class.